It’s time for more adventure! 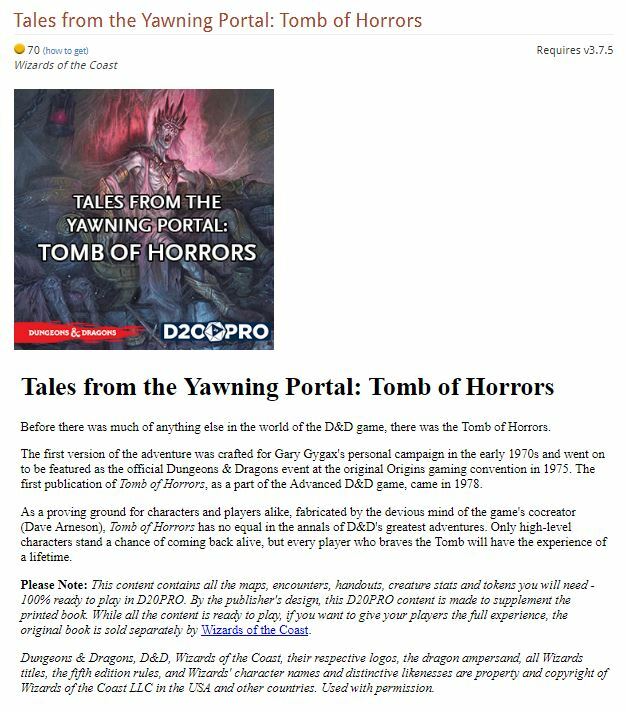 Two more adventures from Wizards of the Coast’s adventure compilation book, Tales from the Yawning Portal, for Dungeons & Dragons 5th Edition are available for D20PRO. Each adventure supplement is priced at $7.00 (70 gold) and can be purchased in-app through the D20PRO Marketplace. 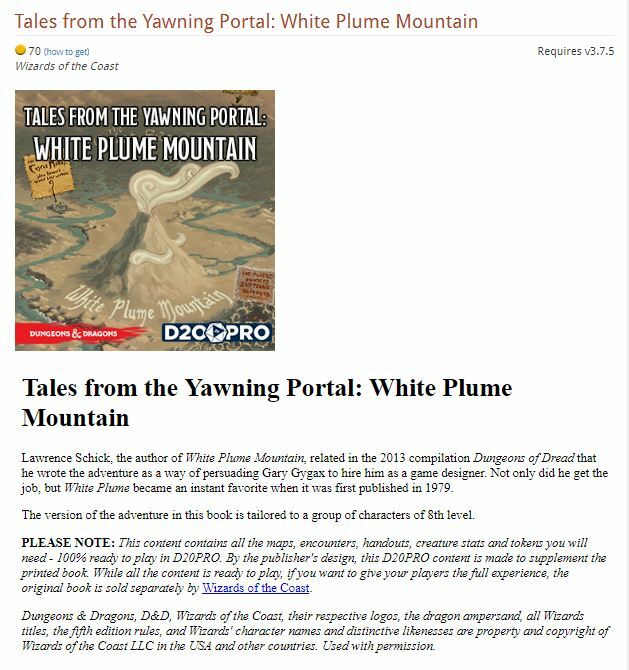 Designed for 8th level characters, the updated version of White Plume Mountain is a perfect blend of terrifying foes and sinister traps and puzzles. Players will need to use their wits as much as their weapons to survive! To this day, Tomb of Horrors lives on as a notoriously wicked adventure. First published in 1978, only the smartest players and highest-level characters stand a chance of coming back alive. For those that survive, massive treasure and the experience of a lifetime are their rewards. 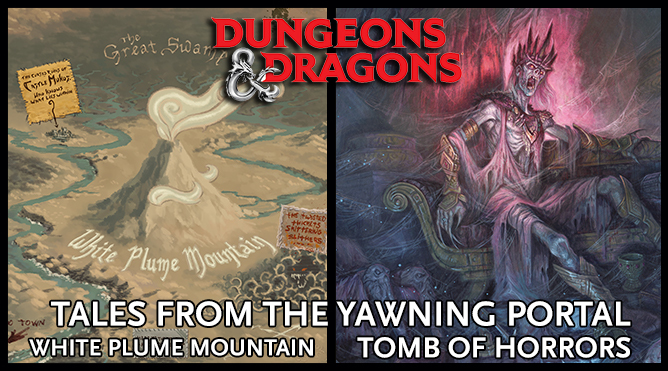 White Plume Mountain and Tomb of Horrors join The Sunless Citadel and Forge of Fury as the first four of seven adventures from Tales from the Yawning Portal. The remaining adventures are scheduled to be released over the next weeks. Adventure supplements come with all the NPCs, creatures, token art, handouts, and maps to play inside D20PRO. Maps are provided with detailed map markers, ready-to-go Fog of War and placed creature tokens, where appropriate. Adventure supplements are not meant as standalone products and are best used in conjunction with the official printed or digital product in order to achieve the full gaming experience.